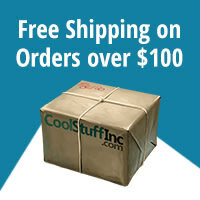 Centuries ago, the lucrative spice trade compelled the prosperous nations of the world to explore alternate routes to the sources of these precious goods. These nations took to the seas to seek out exotic lands. This led to the discovery of the famed Spice Islands where the most valuable spices in the world were found. These spices were worth more than their weight in gold and some only grew on these islands. This discovery led to further expedition, competition . . . and later, war. This era became known as the Age of Discovery. During this time of prosperity and opportunity, you find yourself traveling on the high seas in search of these exotic wonders. As a merchant and privateer representing your nation, you seek to control this region for glory and profit. Your journey continues in the Far East. 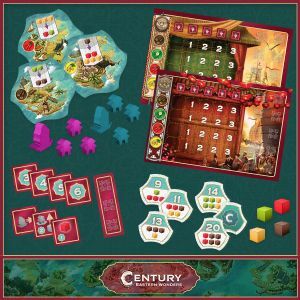 Century: Eastern Wonders is the second of three games designed as part of trilogy from designer Emerson Matsuuchi. Eastern Wonders revisits the spice trade as players search for new trade routes across the ocean. Sail from island to island building trading posts and trading in spices at port in order to spread your influence and bring riches back to your homeland. This is Century: Eastern Wonders! Eastern Wonders revisits the mechanic of trading spices for different spices from Century: Spice Road and puts them in a new context. Rather than gathering and playing cards from your hand to generate spices, players will move their ship across a board of tiles, placing tiles so they can trade spices from their cargo hold for new spices. 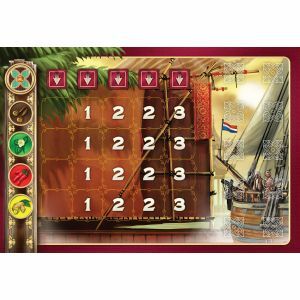 Once players have gathered certain combinations of spices, they can fill orders placed on ports and scoring points. As players build trading posts, they can gather bonuses that grant bonuses like moving their ship more spaces on the board without dumping precious cargo or increasing the amount of spice they can hold. Building trading posts can also grant point bonuses as you seek to build your spice empire! 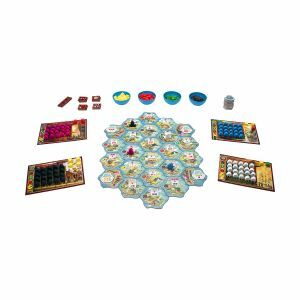 Players will clash as the board begins to fill up with trading posts. Building where someone has established their own trading post will cost you some spice, as will building an outpost on a tile occupied by another player's ship. You'll need to plan carefully as you attempt to navigate an increasingly crowded board and fill the contracts you'll need to come out on top in the end! 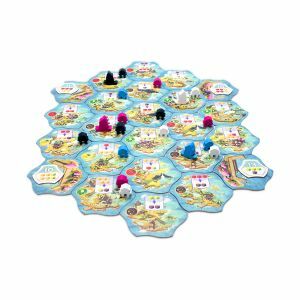 While Century: Eastern Wonders is a complete game in its own right, it can be combined with Century: Spice Road to make a new game called From Sand to Sea. 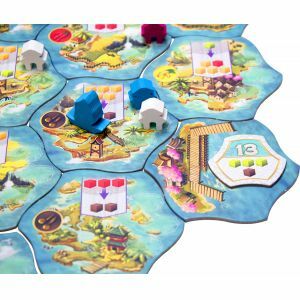 Using the board and movement from Eastern Wonders and the hand management and engine building from Spice Road, From Sand to Sea is a completely unique experience that will test you in new ways. Players move extra spaces by discarding cards from their hand rather than dumping spices in their wake. You can build trading posts and trade spices that way, but you can also play cards from your hand to manage your cargo. 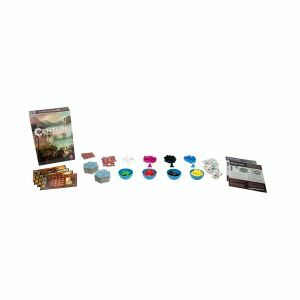 If you own Century: Spice Road, Century: Eastern Wonders is two games in one box! 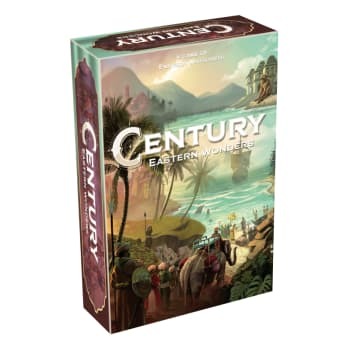 The Dice Tower Reviews Century: Eastern Wonders! Received a Dice Tower Seal of Approval! Century: Eastern Wonders is an adept mix of the new and the familiar. 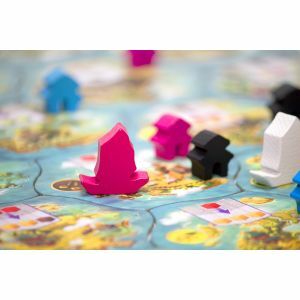 Whether you're a fan of Century: Spice Road, or you like the look of this new take on the spice trading game, you should definitely check this game out. Get your copy of Century: Eastern Wonders today!